Having a pet, specifically a dog or a cat, can bring so much joy in your life The 6 Cutest Sites with Silly Pet Pics and LOL Pets The 6 Cutest Sites with Silly Pet Pics and LOL Pets Read More . Something soft that you can cuddle with. Something you can share your thoughts with. Something that will love you back no matter what. But what happens when your best friend gets lost or runs away?What can you do to get them back as quickly as possible? There are some great websites that are dedicated to helping you find your lost pets, as well as others that provide resources and information to prevent losing your pets in the first place. If you live in the United States, The Center For Lost Pets is a great website to use. 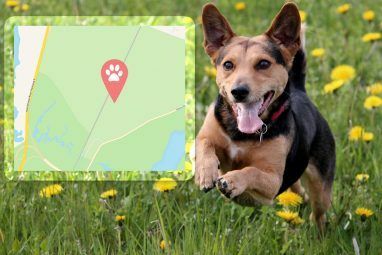 Backed by the Humane Society of the United States, it is striving to become the central location where everyone can connect to help locate and return lost pets to their rightful owners. For the website to help you, you’ll need to create an account first, and then fill out some of your own information, as well as information about your missing pet. Once you fill out the info in the post and submit it, it will go into the Found Pet Database. It’s important that you fill out as the info as accurately as possible. Like many of the other websites in this article, The Center for Lost Pets, provides additional resources, such as advice to find your pet, which includes pre-made posters that you can print out to put up around town. PetAmberAlert.com is a website that offers services within the U.S. to help you find your pet – of course, you have to pay for them though. They have 3 different options: Poster Alert, Phone Alert and Amber Alert. So how does PetAmberAlert work? First you start by giving them all the needed information, such as your name, phone number, pet’s name, age, breed, color, where they were last seen and any photos. When an Amber Alert is issued, thousands of your neighbors will be notified by phone within minutes. They also email and fax a missing pet poster to local veterinarians, animal shelters, animal control, police stations, etc. from a 10 to 100 mile radius of where your pet was last seen, and encourage the recipients to put up posters of your lost pet around the area. PetAmberAlert provides helpful information, whether you sign up for their service or not, including their free Lost Pet Recovery Guide. 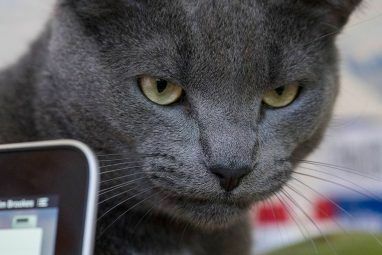 Fido Finder and Tabby Tracker are lost dog and cat databases for the U.S., Canada and U.K. Both have the same free services and features – one website is just for dogs, while the other is for cats. To get the most out of these, they recommend pre-registering your dog or cat on the website before it goes missing. By registering you can get a Fido Finder or Tabby Tracker tag for your pet, which contains your pet’s profile information, allowing the finder to message you via it’s profile. However, if you’ve already lost your beloved pet, you can click the Found tab at the top of either website and fill out the search criteria to see if there are any matches in the Found Dogs/Cats listings. You can then use the pet’s profile to send a message to the person who found your dog or cat. If you can’t find your pet in the listings, you can register your lost pet so that she shows up in the Lost Dogs/Cats listings. The Missing Pet Network is a free to use, volunteer-based organization sponsored by the USDA Animal Care Office. MPN provides a database for the U.S. and Canada that organizes missing pets by State or by all of Canada. MPN isn’t just for dogs and cats, but also for birds, horses and other pets. In fact, they have a whole database dedicated specifically for horses. The website is out of date, and that affects its usability and in the end, its user base, however, it’s still a great tool. To begin looking through lost and found listings, click the link MPN Lost and Found Listings by State (although this also includes listings for Canada). Click on the proper link (Canada or your state). From there you can browse the listings, search them, or report a lost pet. You can also get some additional advice for looking for your pet. Lost Pet USA is another free to use website that, like others, contains a database of missing and found pets. This website has a clean and easy to navigate interface. If you lost your pet, you can click the Search for a Lost Pet link at the top of the page to display all of the listings, or click the big blue Lost a Pet button to refine your search. On that same page, you can also look for other animal-related businesses and organizations that might be able to help you, or at least let you put up flyers. Lost Pet USA also provides resources for those looking for their lost pet and also for those who have found a lost pet and are looking for its owner. In addition, you can download a Microsoft Word template to quickly create a lost pet poster. There are a lot of websites out there that can help you find your lost pet. However, many of them are region-based, meaning they’re only for a particular city or region. Examples of these are Found-pets.org in Tucson, Arizona or Missing Pet Partnership in Seattle, Washington. Something you might consider is searching for lost and found pet websites and including the name of your city in the search. Craigslist is probably one of the most popular places to find lost pets because it is something everyone uses and knows about. 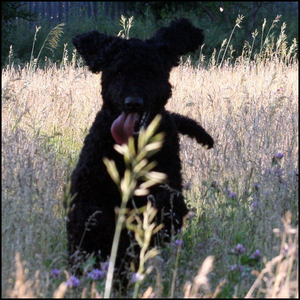 In fact, when my dad lost his dog and was asking around the neighborhood, someone told him about an ad on Craigslist with a dog that looked exactly like ours – and it was ours – someone had found our Labradoodle, Max, and quickly put up an ad. Although I recommend looking into all of the other websites too, I think Craigslist should definitely be used in conjunction with any others that you decide to use. Additionally, I have previously written about some helpful lost pet tips in creating Craigslist ads Get the Most Out of Craigslist and Stand Out While Doing It Get the Most Out of Craigslist and Stand Out While Doing It Craigslist has become the go-to site for anyone looking to buy, sell, hire, be hired, etc. However, at the same time, it has the reputation of attracting “sketchy” people. But this article isn’t just about... Read More that will help you get more out of the website. We’ve previously written two articles covering websites that can help you rescue or find a new pet – one by Joel 5 Best Animal Rescue Sites To Find Your Next Pet 5 Best Animal Rescue Sites To Find Your Next Pet If you’re thinking of adding a new pet to your household, you may want to look into adopting or rescuing one from a shelter instead of buying one from the nearest pet store. Local animal... Read More and one by myself 10 Puppy Finding Services To Find Your Next Best Friend 10 Puppy Finding Services To Find Your Next Best Friend Where do you go to find your next best friend? There are a lot of places locally, but some are difficult to discover. Also, if you do not have an idea of what kind you... Read More . The reason why I bring these up is because these websites often have some helpful resouces in finding your lost pets too. There are a lot of helpful resources and websites available, so below is a list of others that you might find useful. All of these websites have their own strengths. Some have a very user-friendly interface, while others are popular based on their location. Some are premium services, but are ideal for those who might not have the time that is involved in thoroughly looking for their pet. Have you ever lost a pet? Then, have you ever used any of these websites to help you reunite with your best friend? We’d love to hear your own stories. The 12 Most Trusted News Sites You Should BookmarkAre You Taking Advantage Of All The Money Saving Deals On Amazon? How did you not include the famous Lost Cat Finder? Thanks, Aaron! Info that is near and dear to my heart, as you know! Thanks! These are always handy.